Amazon stock has high an all-time high in May 2016 while the stocks of many other companies haven’t done so well (just look at tech giant Apple’s stock that in the same period keeps going down). And looking back, my opinion on what made Amazon so successful is the willingness to break into a new business segment, cut down the profit margins, and offer a better competing service. When you hear Amazon, most people associated them as the undisputed leader in online shopping. For years, the concern was their razor thin margins and the high costs of offering Amazon Prime. But did you know that in 2015, Amazon began looking shipping their products by hiring executives from major shipping companies. Amazon claims to only handle shipping from warehouse to warehouse, but leave home delivery to FedEx and UPS? But how much longer before they’re replaced by Amazon’s own delivery team and air drone? Amazon success in the online marketplace has helped put electronic-related brick and mortar store out of business (Circuit City), but how long before their services is improved to better handle clothing, food, and other deliveries? Another big profit center for Amazon is the Cloud. Because this service isn’t a public facing product (they do most of their business with large companies), most people outside of the tech world have no idea it exists. The other big competitors in this area are Microsoft and Google, but even against those large tech companies, it’s Amazon that is leading the way. And the good news for Amazon is switching Cloud provider isn’t an easy task. For a large company, switching can take more than a year. Large companies like Apple, Netflix, and Dropbox would need a very compelling reason to switch. Other consumer products offered by Amazon include the Kindle (e-reader), Kindle Fire (tablet), Fire TV (TV box), Fire Phone (the failed cell phone), and Amazon Echo (personal speech recognition device). Without a doubt, these products were created with the intention of creating the ecosystem. This is something that Google and Apple have perfected. The thought here is if Amazon convinces their Prime users to purchase Amazon branded electronics, they’ll be more likely to continue paying the yearly Amazon Prime subscription (which includes photo storage, movie and TV show streaming). Another big areas that Amazon is beginning to get involved in is video production, called Amazon Studios. In this more competitive arena, they are competing with other internet giants such as Netflix and YouTube, and Hulu. Already, they have had a handful of produced TV shows. This is again part of the effort to keep users subscribing to Amazon Prime. The main point is Amazon’s successful and profitable involvement in multiple business areas has been a successful strategy. This is a different approach that Google takes, who for the most part offer their services for free, but make money off advertising revenue. On the other hand, Apple makes most of their money off their hardware. And that’s the key difference. Both Google and Apple make most of their money from one business. If that business were to come under fire, it becomes a big problem for their bottom line. 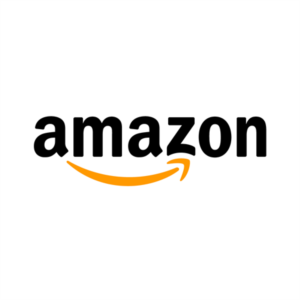 For this reason, I believe that Amazon’s stock will continue to climb higher, as there is a high potential for Amazon to become the dominate player in multiple businesses. I therefore will continue to hold the stocks that I own. I believe there a high future potential for this stock and I like their strategy.